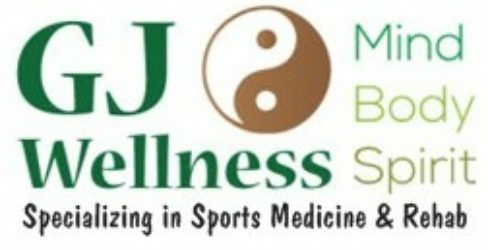 GJ Wellness specializes on Sports Injury and Rehabilitation. We can help you recover & HEAL faster from most sports injury without the need for surgery or dangerous and excessive prescription drugs. We have worked with athletes to help them recover quicker and stronger from their injuries. 1.) One of our most successful case involves a patient that suffered a car accident over 40 years ago that damaged his back and suffered chronic back pain. After several surgeries, chiropractic work, multiple pain medications and acupuncture services that did not help, Edward successfully rehabilitated the patient. With one treatment we were able to reduce the patients pain to almost zero. After continuous acupuncture treatment for about two months along with herbal formulas, the patient is no longer dependent on pain meds to live a pain-free happy life or the need for a cane. This 81 year old patient is enjoying life travelling & doing activities with his grandkids which he couldn’t do before. 2.) Another successful case involves an athlete that suffered chronic knee pain. After a knee surgery and multiple pain medications that did not help, the athlete sought GJ Wellness for rehab. The athlete recovered fully and is living a pain-free productive life with more mobility and without the need for pain meds. 3.) Our third case involves a elder patient that suffered back and hip arthritis. Her doctor recommended surgery. After seeing several chiropractors and several acupuncturists with no success, the patient sought out Edward at GJ Wellness. We worked with the patient’s financial situation and was able to relieve the pains completely in approximately three months. 4.) Our latest case in June 2018 involves an Ex-soccer player who was in a severe car accident that severed his spine. He was left unconscious for a month. After an extensive surgery of spinal fusion, laminectomy and 2 titanium rod, the patient was suffering pain level of 8/10 for 7 months. Heavily medicated and after going through rehab with doctors and PT, the patient was still unable to walk because of muscle atrophy. He saw another acupuncturist and found no relief. Patient has nerve damage, spine damage, loss of muscle, loss of coordination and dependent on pain meds to get through the day. 1st treatment, Edward was able to relieve the pain to 1/10 with minor discomfort. Patient was no longer dependent on a wheelchair. He gained strength in his leg after one treatment with more muscle control with his leg and feet. He was able to walk 2 miles every day with a cane. After the 2nd treatment, patient has no more pain but stiffness in back. This was an aggressive treatment with long 2-3 hour treatment time with a combination of herbal formulas. Full rehab is expected with this patient. Edward helped save this patient at least $10,000+ from medications and other expensive rehab services. Patient is forever grateful to Edward. We continue to help our patients recover FASTER through our rehab program. Our successful treatment can help athletes recover muscle loss, build stronger bones, gain strength and flexibility.